Just when we thought this summer couldn't get any hotter, the first avenger and his glorious abs make their official debut in Captain America: The First Avenger and we couldn’t wait to witness the Captain in all his patriotic glory. 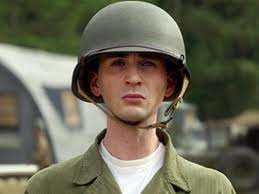 It is 1942, America has entered World War II and sickly but determined Steve Rogers (Chris Evans) is frustrated at being rejected yet again for military service. Everything changes when Dr. Erksine (Stanley Tucci) recruits him for the secret Project Rebirth. 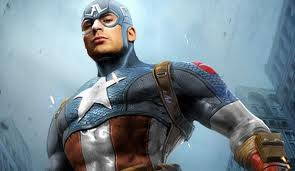 Proving his extraordinary courage, wits and conscience, Rogers undergoes the experiment and his weak body is suddenly enhanced into the maximum human potential – with lots of abs. 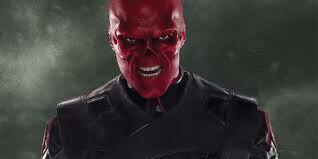 When Dr. Erksine is assassinated by an agent working for the head of Nazi Germany's secret HYDRA research department, Johann Schmidt aka the Red Skull (Hugo Weaving), Rogers is left as a unique man who is initially misused as a propaganda mascot in a series of ridiculous motivational performances that eventually lead him into the field where he is told that his best friend from home (Sebastian Stan) is missing and most likely dead. 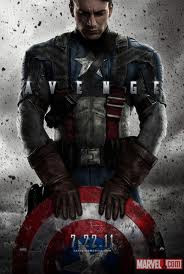 With the help of his love interest Peggy Carter (Hayley Atwell) and business man Howard Stark (Dominic Cooper), Rogers attempts a fearless rescue mission which ultimately gains him respect from Colonel Chester Phillips (Tommy Lee Jones) and truly makes him Captain America, launching a personal vendetta against the evil Schmidt. Unlike some of the other big comic blockbusters of the summer, Captain America proved to be an ongoing action packed battle from start to finish. 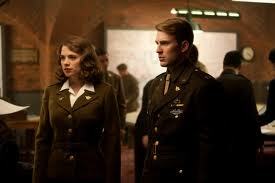 It wasn’t overloaded with too much information, yet you didn’t feel left in the dark if you didn’t know the story behind the character, the love story with Peggy Carter didn’t overshadow the priority mission and the army of heavy weight actors leading the brigade made it easy to see how the whole thing came together so perfectly. Chris Evans, of course, was a perfect fit for Captain America. 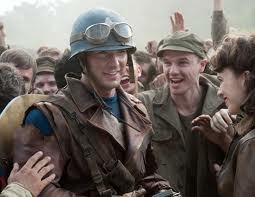 Though it was kind of creepy seeing him so weak and tiny during the first part of the movie, Evans is a natural at balancing that cocky confidence with humility and proved that he really does embody every aspect of the Captain. Not to mention how well he fills out that uniform. We would loyally follow him into battle any day.